In September Apple released the new generation operating system for iPhone and iPad. 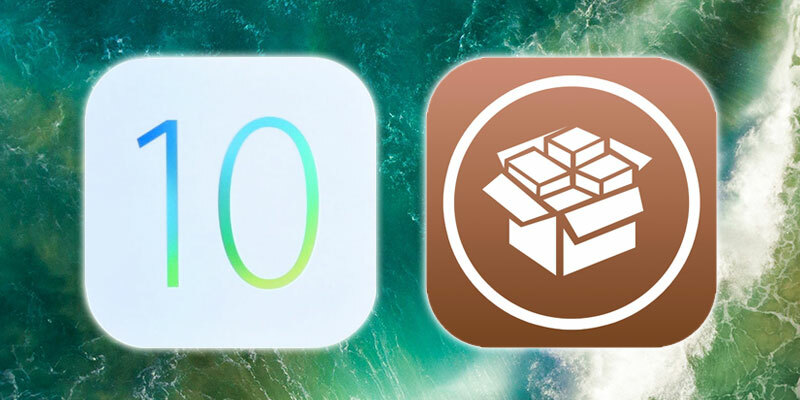 Hackers are still working to jailbreak iOS 10, although the original release was promised almost immediately after the release of the final version. 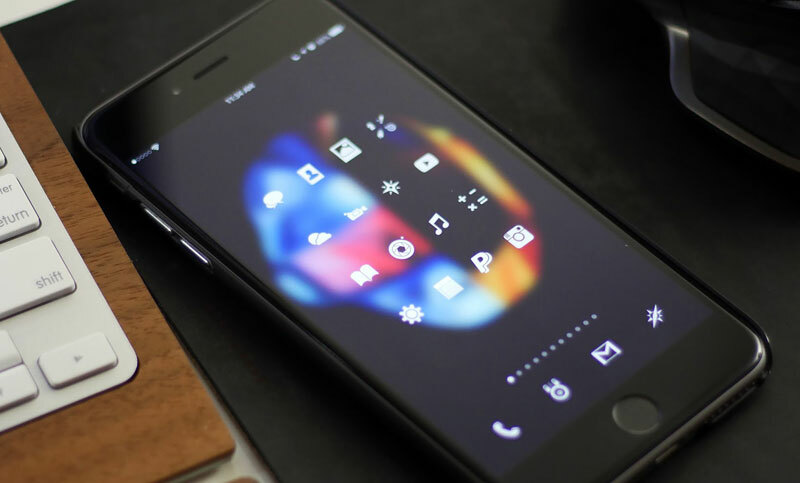 MacDigger offers to consider 10 reasons why the owners of smartphones and tablets, setting a new OS, should wait for the results of their work. Why the need for a jailbreak and that receives the user after the liberation from the imposed restrictions ? Firstly, it is possible to bypass the security of iOS and install on your gadgets unofficial apps and tweaks that are not admitted to the official App Store. Secondly, to change drastically the design of the operating system. In fact, no reason to get rid of “slavery” set, offer 10 the most powerful. The latest revisions of iOS, Apple has opened new scope for the modification of their devices. What is the API for voice assistant Siri, the Apple branded card or the Phone application. However, until true freedom is still very far away. Jailbreak allows you to remove all installed Apple’s restrictions and to update the user interface. Thanks twicam from Cydia you can change the icons, lock screen and even turn on a dark theme, transforming the standard image of the OS. There are unlimited possibilities and each user can choose the design according to your taste – add elements completely absent skeuomorph, or, conversely, to simplify the interface of the device. The owners of “jailbroken” iPhone and iPad can install the new class, which are not admitted to the Apple store. The developers of the official apps must adhere to strict rules of the company, so they can fully unleash the potential of the iPhone, iPod touch, and iPad. Want to record phone conversations? Easily! Enable hidden settings of iOS? No problem. And maybe remove ads in YouTube or apps? To activate the flash? 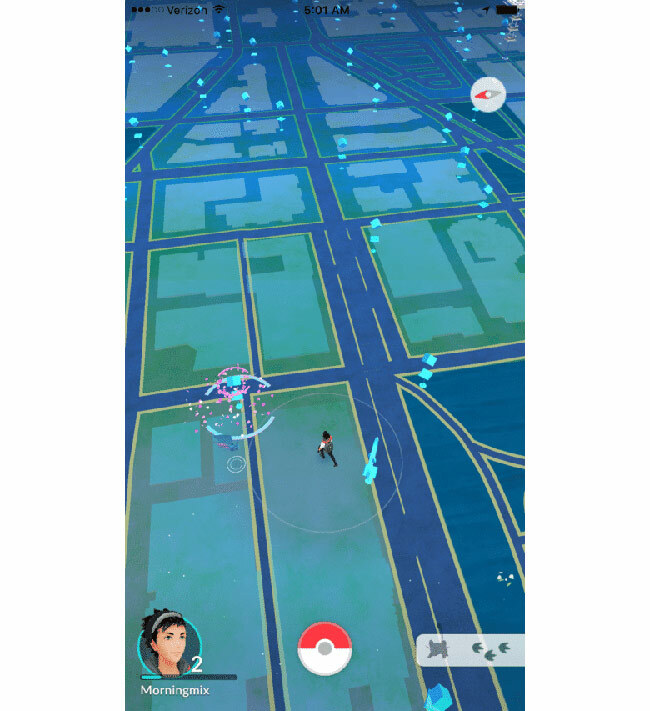 Add real multitasking? To use the new launcher? The list is endless. Many owners of older iPhone were disappointed to find out that they cannot Raise to Wake. 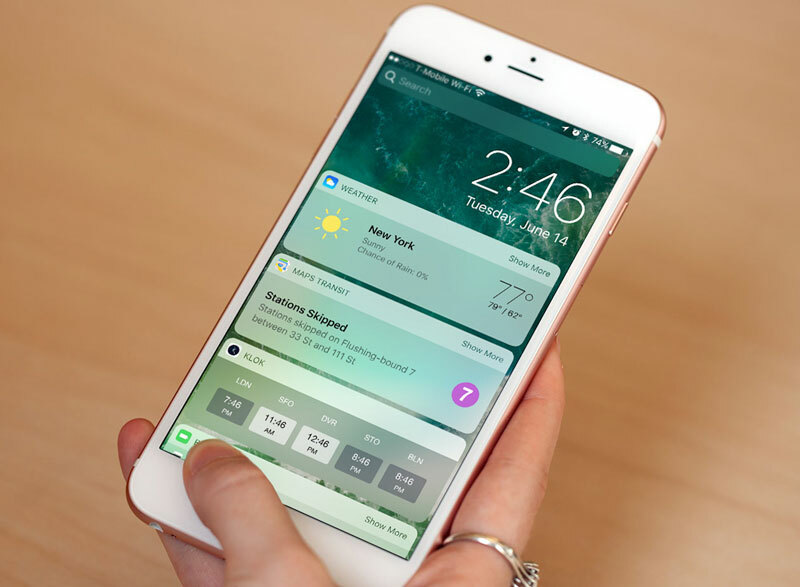 It automatically displays the screen from sleep mode when the user raises the mobile — it’s more convenient to view all the notifications directly from the lock screen. Raise to Wake is not available not only for iPhone 5 and iPhone 5c, but also on the newer smartphones. 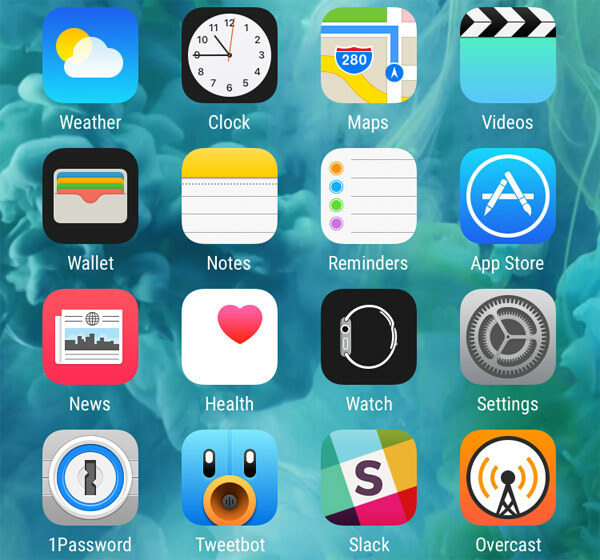 At the time of the jailbreak developers quickly ported the new features of iOS 9 for older devices. With the availability of untethered jailbreak for “ten” there is no doubt that the owners of the old iPhone will be able to use the Raise to Wake and other features in iOS 10, available on the advanced models. 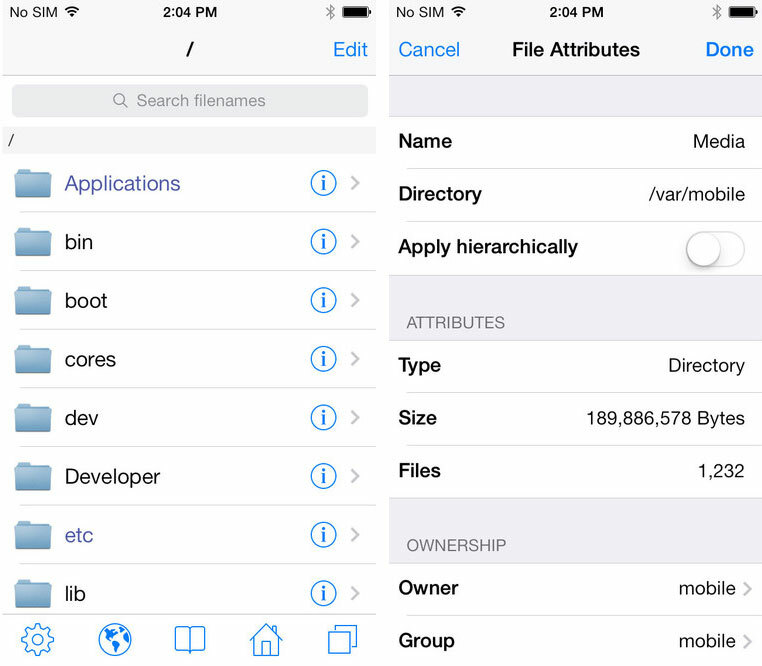 Another important feature, which is available on devices with jailbreak – file Manager. Given the closed nature of the Apple ecosystem, it is not surprising that the company has not provided such an opportunity. Thanks to the jailbreak and the app iFile you can view system files and folders, edit them directly on iPhone and iPad. Developers of informal applications offer new ways of implementing the hardware capabilities of the iPhone and iPad. One of them is the fingerprint scanner devices. 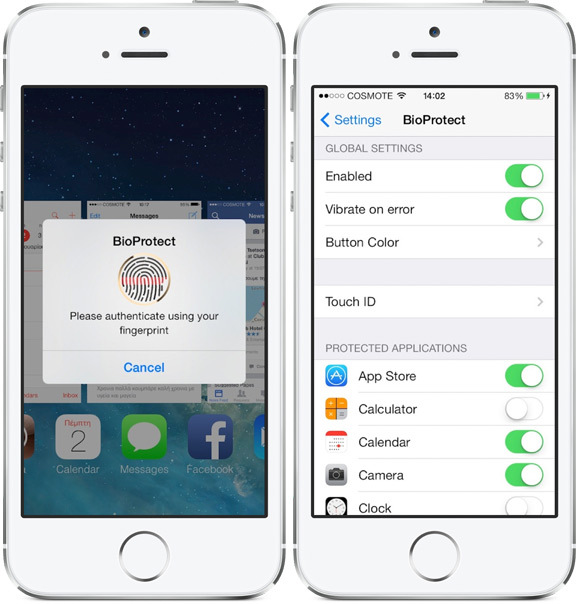 Thanks twicam as BioProtect, AppScan, BioLaunch, BioLockdown and AppLocker can restrict access to folders, applications, and individual features iOS 10 using a biometric module, Apple gadgets. One of the most popular ways to refresh the appearance of the standard operating system gadgets is to replace the system font. There are several ways to change fonts in iOS, one of the easiest is to use the app BytaFont 3. The program allows you to use multiple clicks to change the system font to one of several hundred options (specifically, around 700) available in the catalog Cydia. The number of decent games in the App Store in the hundreds of thousands. The developers have made, it would seem that such a meaningless exercise in the whole industry: in some games, international competitions, and the prize funds in the millions of dollars. But all this is nothing for old-school gamers that any modern project with three-dimensional graphics will prefer the classic games on good old games consoles. 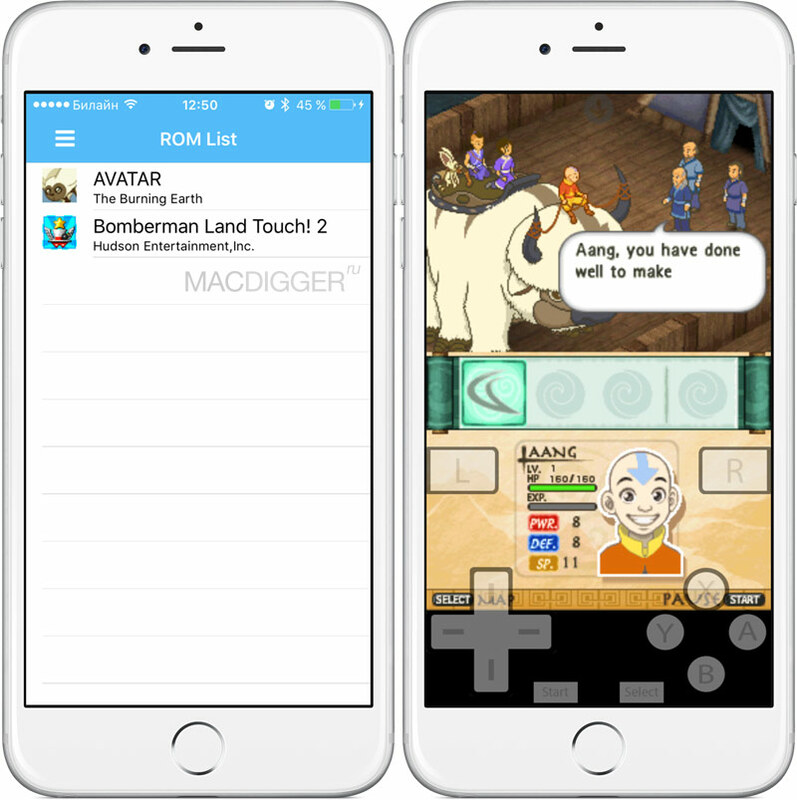 Emulators of game consoles is a separate class of applications in Cydia. It would seem, how can I miss games with primitive music and the pixel graphics? It is possible, especially if it is a game of childhood. Sorry, just pick up and run on the modern gadget games of the last century is impossible. The problem is solved by the jailbreak, which provides the necessary software environment. Apple has restricted many of the features of iOS. Unlike macOS, mobile OSes, you cannot install third-party applications or to fine-tune the OS, such as using the same Terminal. Only through jailbreaking users of iPhone and iPad can transfer in LTE YouTube video in good quality, download the app from the App Store that are larger than 100 MB, use FaceTime calls, panning, filters in the camera or the Slow Motion mode on unsupported devices, upload music without iTunes and transfer files between gadgets through Bluetooth. How about to remove the restrictions on sending photos in Mail or WhatsApp? And this is not a complete list of what is available on device with jailbreak. Let’s be honest: some users do jailbreak iPhone and iPad in order to use cracked games and apps. We condemn such experiments, however, this contemporary realities. In addition to all the changes at the level of the software platform waiting for some exploit to load on the device is associated. An amazing paradox. iOS may be the best mobile platform on the market and at the same time very, very boring. And this to a certain extent to blame Apple. All iPhone and iPad look similar on each of the same rows of icons, the same icons and menus. The device jailbreak is not only interesting from a technical but also from a practical point of view. After all, a gadget with fewer restrictions much more attractive. It’s great to connect to your iPhone or iPad joystick PS4 and play a new shooter on the usual buttons to recall the commands in a mobile Terminal or to sort out the effects of the home screen in the Cylinder? No one is saying that the App Store offers a few games and entertainment apps, but jailbreak is fun of another kind and special treat. Isn’t that ultimately purchased the iPhone and iPad?